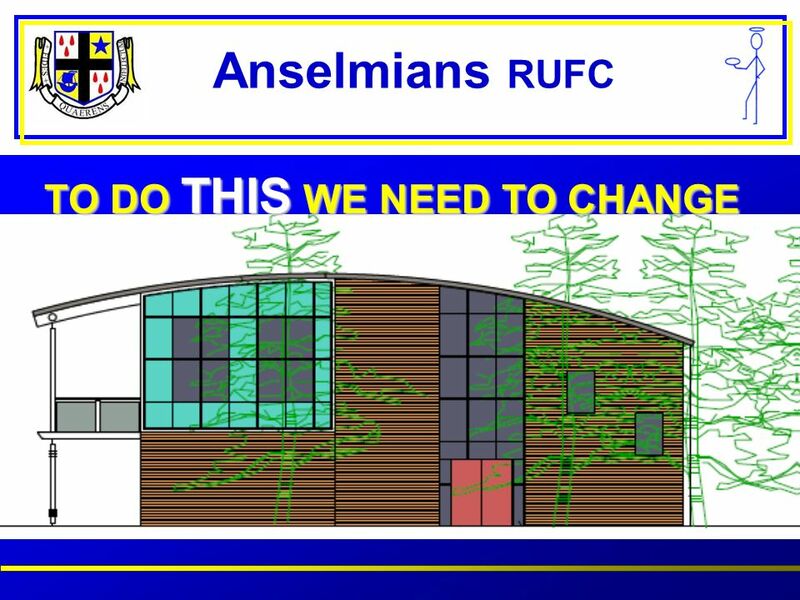 Anselmians RUFC New Anselmians ? 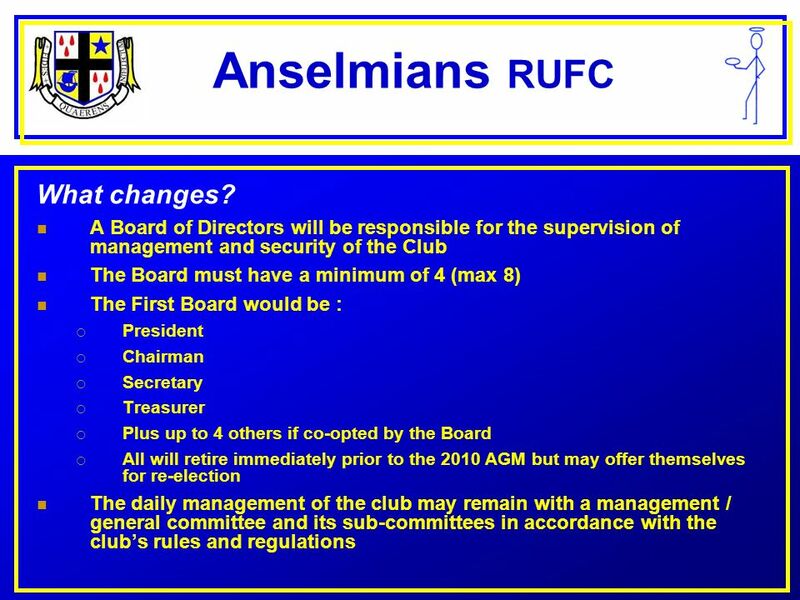 Special General Meeting of Members Friday 20 November 2009. 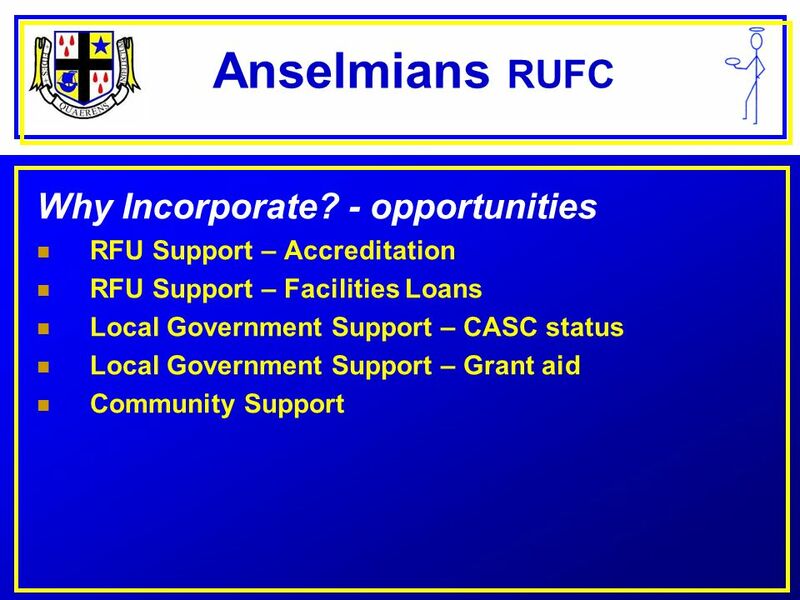 4 Anselmians RUFC Why Incorporate? 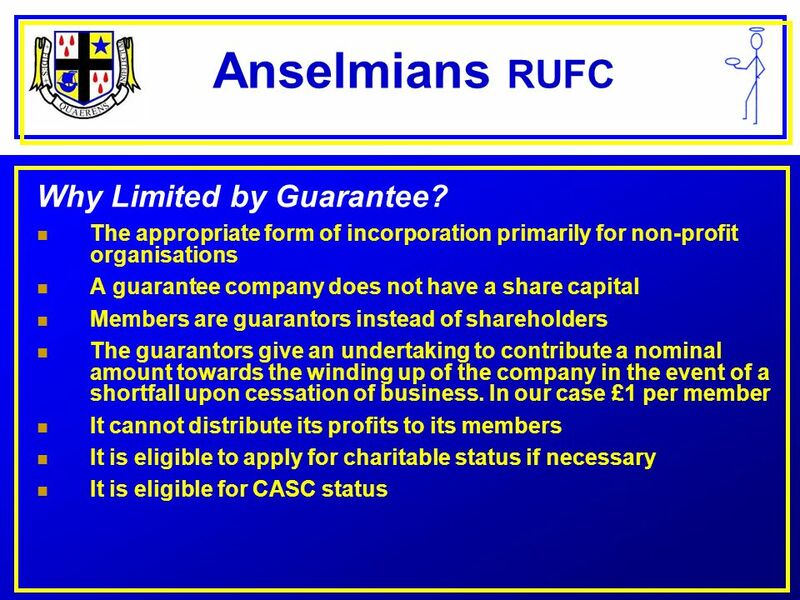 – Limit Risk To obtain for the Members the benefit of limited liability. 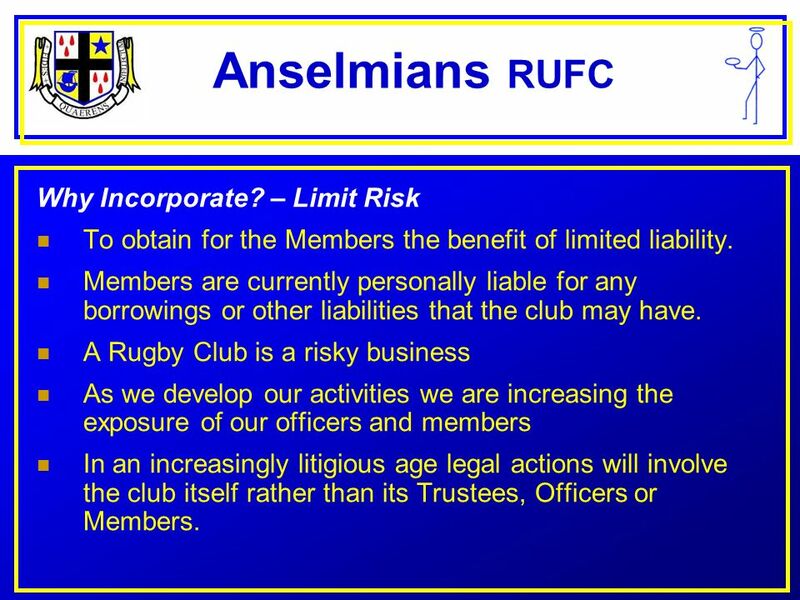 Members are currently personally liable for any borrowings or other liabilities that the club may have. 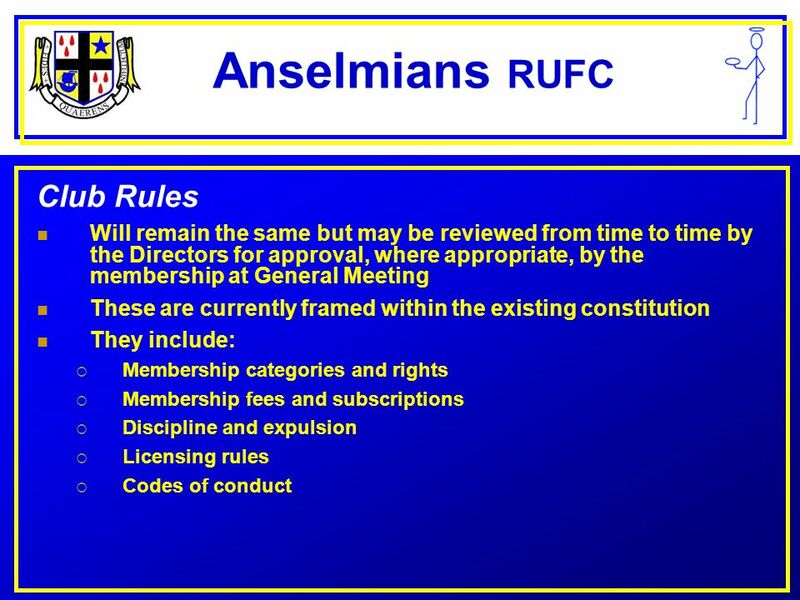 A Rugby Club is a risky business As we develop our activities we are increasing the exposure of our officers and members In an increasingly litigious age legal actions will involve the club itself rather than its Trustees, Officers or Members. 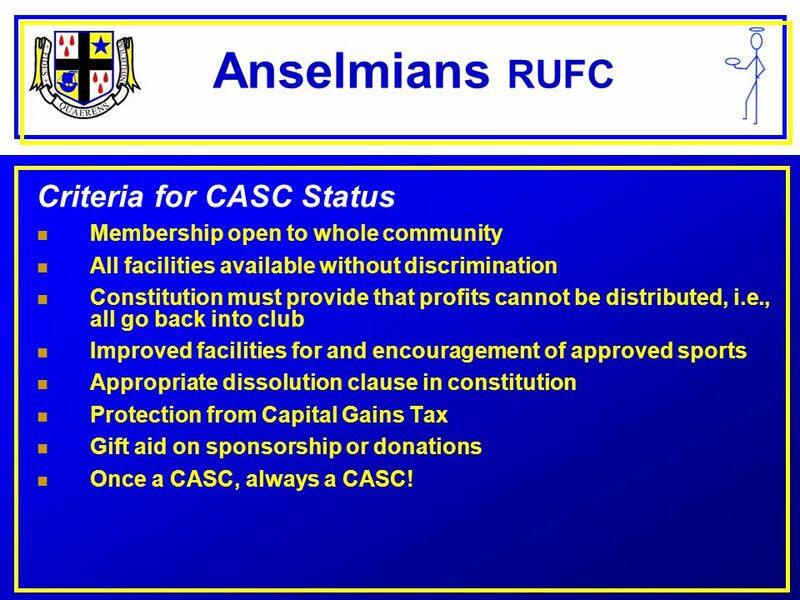 15 Anselmians RUFC Criteria for CASC Status Membership open to whole community All facilities available without discrimination Constitution must provide that profits cannot be distributed, i.e., all go back into club Improved facilities for and encouragement of approved sports Appropriate dissolution clause in constitution Protection from Capital Gains Tax Gift aid on sponsorship or donations Once a CASC, always a CASC! 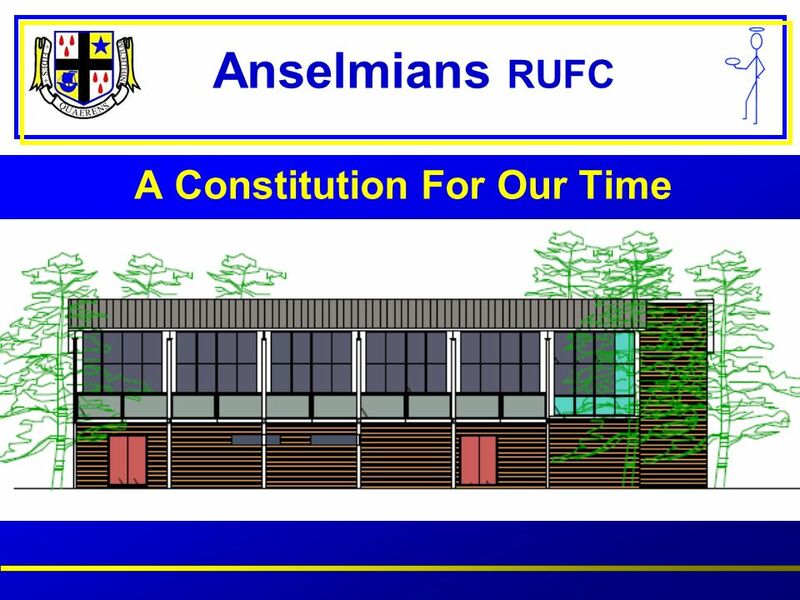 Download ppt "Anselmians RUFC New Anselmians ? 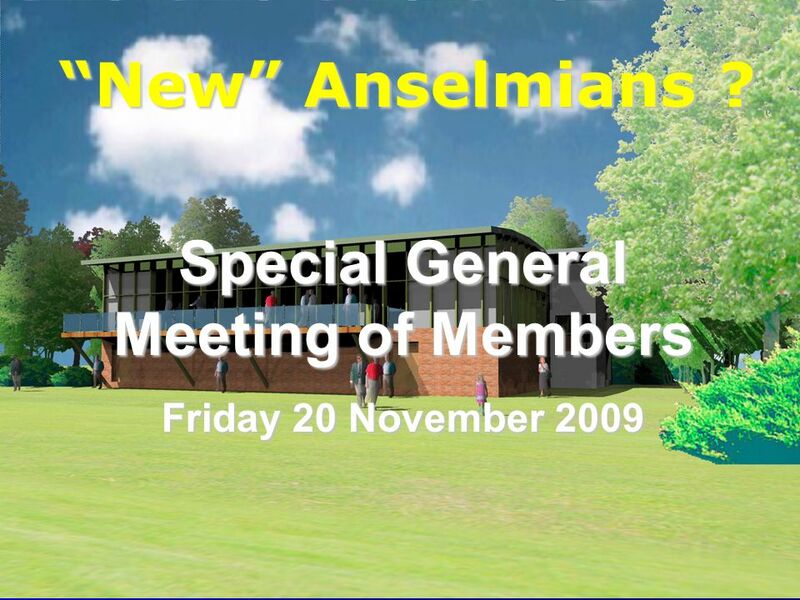 Special General Meeting of Members Friday 20 November 2009." Legal Structures and Governance Rachel Gwynne and Emma Fitzgerald 2nd February 2010. 1 3rd Annual General Meeting Sunday 24 September 2006 at Asti, Italy The International Society for Condensed Matter Nuclear Science N.B. Non ISCMNS members. 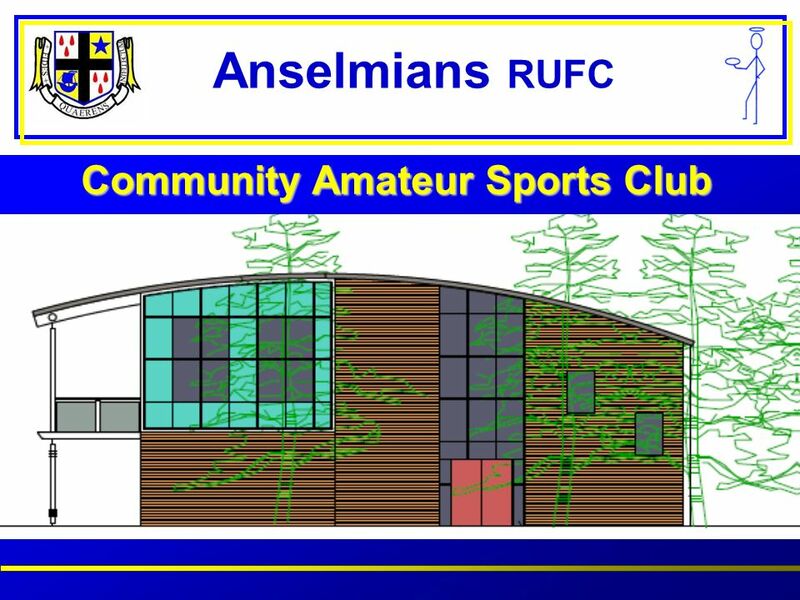 Leicester Sports Partnership Trust - One Year On Tax relief for community amateur sports clubs Ian M Harris, BA(Hons), FIIT, MAAT Leicester City Council. 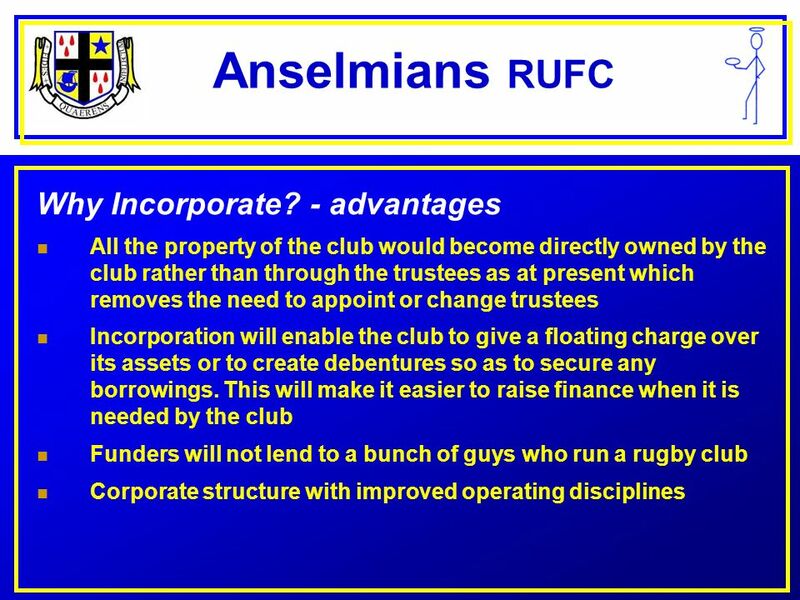 Business Law Lecture 8 CORPORATE FINANCE DEBENTURES. NON-PROFIT ORGANISATIONS IN SOUTH AFRICA. Introduction Recognised under South African Law for more than a century Role in society has now become very. The Gatekeeper Foundation Gatekeeper capacitates and resources communities by means of collaboration between business and the non-profit sector, to optimize. 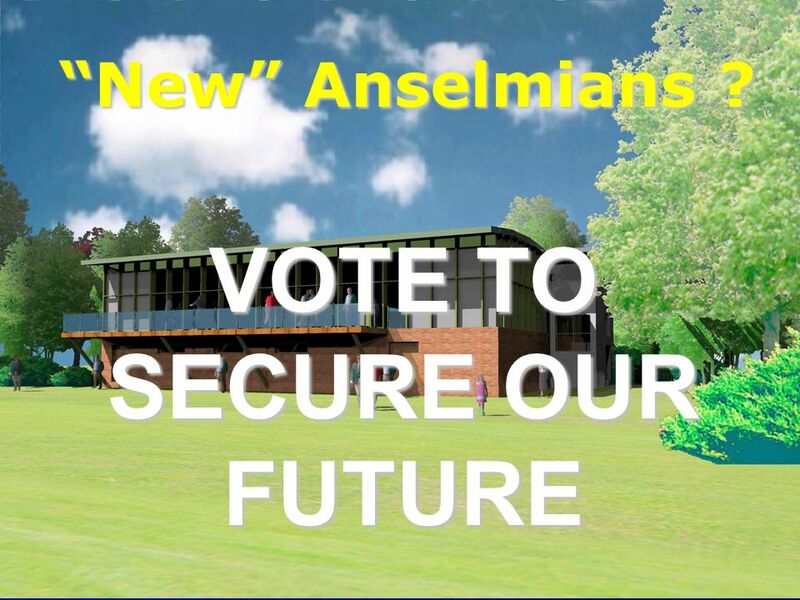 By CA Ved Mittal Ved & Associates. 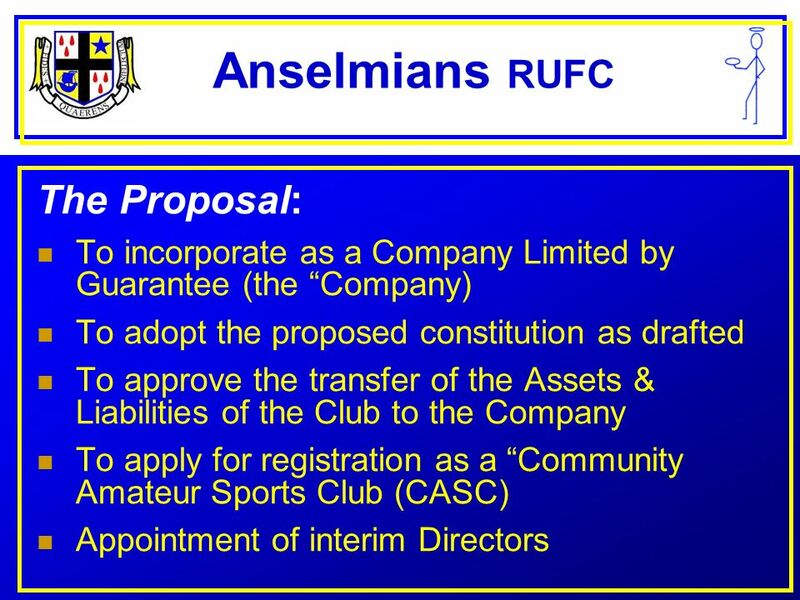  Trust  Society  Section 8 Company ( Section 8 of New Company Act 2013 )  Special Licenses. 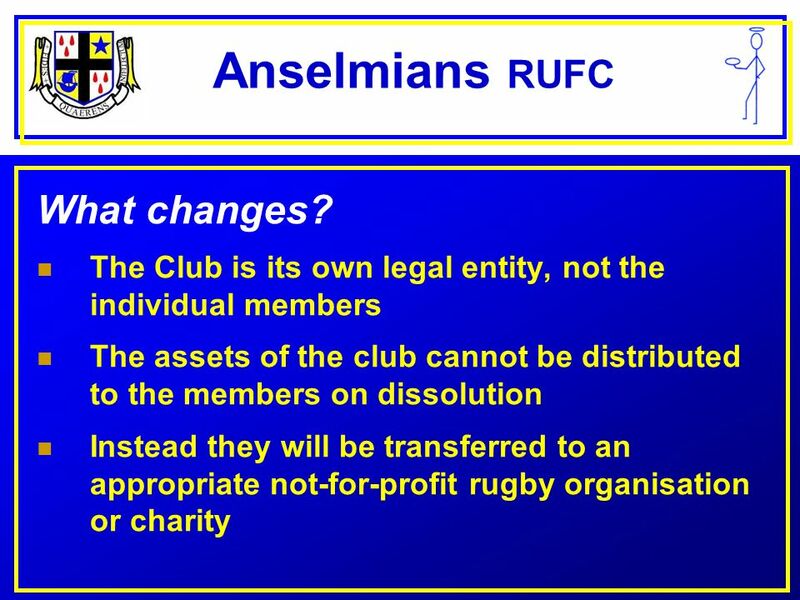 Running Your Club Corporate Governance Presentation. Company Accounts Companies can be divided into 2 types: A Public Limited Company which is shown as Plc A Private Limited Company which is shown as Ltd.
Limited Companies A limited company is a separate legal entity from its members. 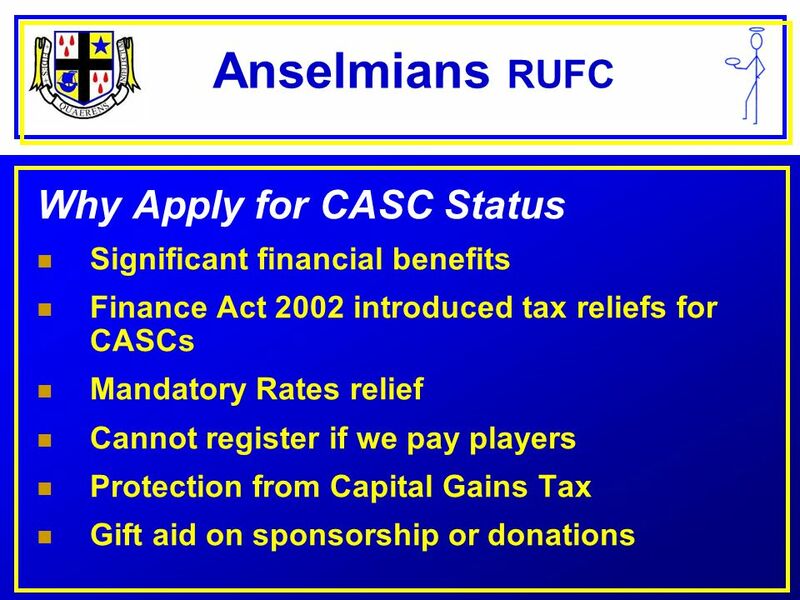 This means the company can raise funds in its own right and any debt incurred. Training Module 3: Articles of Incorporation and Association Bylaws Presented by the Southern Early Childhood Association. Corporate Law. State owned company All provisions of Act that apply to public companies also apply to State owned company Ends with SOC Minister may make. Company means- An association of persons united for a common object. 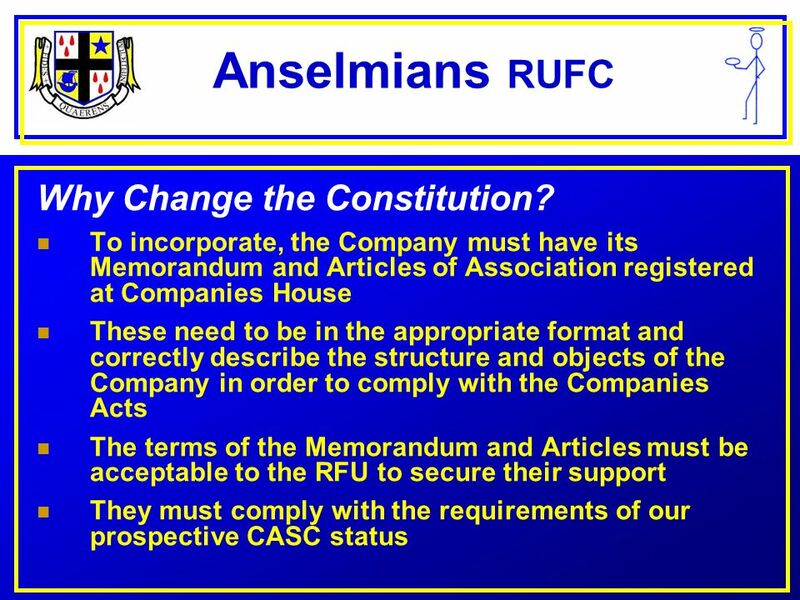 A Company formed and registered under Companies Act or an existing Company.